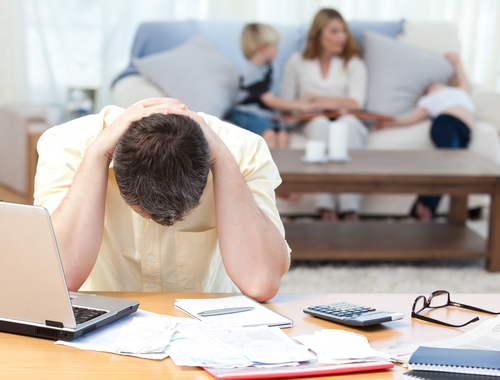 A lot of people are bogged down with various debt problems that plague their finances. There are consumers who are trying to make sense of their student loan payments. For others, they are doing their best to understand and save up for retirement. While some are concerned with their ever-growing credit card statements. In fact, Foxbusiness.com shares that an average household in the country is looking at about $130,000 in household debt. This includes mortgage loans, credit card debt, auto loans, and even student loan payments. As argument can be made on whether taking out a loan account is actually beneficial in the long run. Take student loans for example as it improves a person’s chances of securing a better-paying career compared to high school graduates. A mortgage loan can actually increase a person’s net worth. Owning a house is also considered a great investment. Auto loans and even credit card debt can take the same point of view that they are being used positively. In all these and considering that no one really wants to be in debt, why are people getting into unmanageable debt? Even millennials are experiencing payment problems – the generation who is starting to take over the corporate world. The bottomline is that there are a lot of people who seems to get stuck in debt payment. Where do debt problems start? In a bid to understand debt better and the instances when they start to seep into your finances, here are some specific situations to look into. The decisions you make in these instances can determine your debt problems. How you handle these specific situations can either propel you forward and make your finances stronger or they can hamper your financial growth. As mentioned earlier, there will always be a reason why you take out loan applications. A student loan can give a person the edge they need in the workplace. An auto loan can add flexibility for a start-up business. Even credit card use can be beneficial for your overall financial standing. It is troubling to read up on how Washingtontimes.com reports that American consumers now have about over $1 trillion in debt with their credit cards. The problem will only compound when these charges are taken out without any real thought behind it. These can happen with impulse purchases and in trying to maintain an excessive lifestyle. One of the turning points for debt problems to manifest is when you do not think about the purpose of your loan. There has to be a valid reason behind it and it should propel you forward. Just because your neighbor pulled up in a new doesn’t mean you need a new one as well. If your officemates are all using the latest smartphone, it does not mean you have to buy one also. What you can do is to weigh your decisions carefully before you make them. If you are getting a car loan, is it to show off or for your growing family? The same with a mortgage loan – is it to prove to other people that you can have a big house or to provide a better home for your family? These are some of the considerations you have to process before taking on debt. Your debt payment approach will have a direct effect on how well you stay away from debt problems. The better you manage your payments, the further you are from encountering problems with your finances. In the same breadth, if you do not pay much attention to the way you send out payments, you will be in trouble. This cannot be more evident when you start missing payments with your credit card. When that happens, your next month’s payment would surely increase no thanks to various fees, penalties, and charges that are added onto your statement. The problem is if you were already having a hard time meeting your previous payments, what more with an even bigger payment amount? It is important that you put in the time to manage your financial obligations. You need to be on top of your payments to prevent debt problems from creeping up in your finances. They can start small but over time, these problems can cause you big headaches. It is better to handle them at the start so you can protect your funds and be able to use them to your own advantage. No matter how well you plan your finances, there will be times when life throws you a curveball. When this happens, how you manage it can mean the difference between keeping current on your payments or falling behind in your obligations. Debt problems will start to creep up once you fall behind on your payments. One thing you can do is to be transparent with your creditors and lenders. Taking a proactive approach could actually help you get favorable payment options from your lenders. As you explain your situation, they might be able to help you make minimum payments. This is a win-win situation for the both of you. With this, you might want to explore paying in advance for some of your big-ticket debt items like your mortgage, student, or car payments. You can make advance payments that will help give you a buffer for late payments. This is one way of safeguarding not only your payments but your credit score as well. This works best in preventing potential debt problems when you have a fixed monthly payment. One of the most effective ways in helping you avert potential debt problems is to have an emergency fund. According to Forbes.com, having reserve funds helps consumers in times of an unexpected need. Rather than sliding deeper into debt, this fund can help you stay afloat while you tackle whatever emergency is in front of you. If you suddenly find yourself out of a job, your emergency fund will help you meet all your monthly financial payments while you look for a new job. This way, you do not have to take out a signature loan or even max out your cards just to make ends meet. What your reserve funds can do is help you pay for all your existing financial obligations and puts food on the table while your income is affected. It will also help if you can learn as much as you can about money management. The more you know, the better you can make financial decisions. You will also be able to make better decisions because you are making informed ones. The more you understand pros and cons of what your decision will bring, the more careful you will be. Debt problems will be a part of your financial journey. As much as you want to prevent them from happening, the best thing you can do is understand them and prepare for them. As you make decisions that concern your finances, there will challenging ones that leads to a “learning opportunities” so make the most out of them.